NEW YORK -- Federal authorities have charged the New York City and New Jersey bombing suspect with several federal offenses Tuesday evening, including use of a weapon of mass destruction and bombing a place of public use, CBS News justice reporter Paula Reid reported. 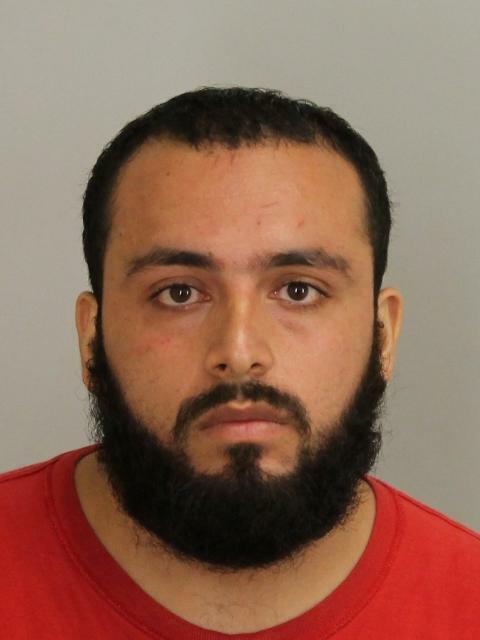 Ahmad Khan Rahami, 28, was being held on $5.2 million bail, also charged with the attempted murder of police officers during the shootout that led to his capture Monday outside a bar in Linden, New Jersey. The weekend bombings in New York City and a New Jersey seaside town that wounded 29 people. Authorities are still reviewing possible terrorism charges. Reid reported that four federal charges have been filed in New York City, including: Use of a Weapon of Mass Destruction, Bombing Place of Public Use, Destruction of Property by Means of Fire and Explosive and Use of a Destructive Device During and in Furtherance of a Crime of Violence. More in Terrorism in the U.S. In addition to four federal charges in NYC, Rahami now also faces six federal charges in New Jersey, Reid reported. According to court documents, between June 20, 2016 and August 10, 2016, eBay user “ahmad rahimi” purchased several items the FBI investigator described as being used in improved explosives including a Citric Acid USP/Food Grade 5Lb pack, “great for bath bombs and candy making.” Also, “10PCS Protoyping PCB Printed Circuit Board Prototype Breadboard” and an item for fireworks firing system electric igniters display, Reid reported. The FBI looked into Rahami two years ago -- and came up with nothing alarming -- after his father expressed concerns his son might be a terrorist, law enforcement officials said earlier Tuesday. During the inquiry, the father backed away from talk of terrorism and told investigators that he simply meant his son was hanging out with the wrong crowd, including gang members, and acting like a thug, the officials said. Is Ahmad Khan Rahami linked to terror groups? In any case, the FBI checked its databases and other sources and closed the inquiry in a matter of weeks after seeing nothing tying Rahami to terrorism, three law enforcement officials said. One bloodstained section contained references to both Anwar al-Awlaki, the American-born cleric who was killed in a 2011 drone strike and whose preaching has inspired other acts of violence, and Nidal Hasan, the former Army officer who went on a deadly shooting rampage in 2009 at Fort Hood, Texas. Both pieces of evidence contain written rants, suggesting that he was a consumer of multiple radical ideologies by several different terrorist organizations, reports CBS News homeland security correspondent Jeff Pegues. According to three U.S. law enforcement officials, Rahami’s writings recovered by law enforcement contain references to Osama Bin Laden and American-born jihadist cleric Anwar al-Awlaki. According to U.S. law enforcement officials, in his writing Rahami referenced bombs in the streets, and gunshots to police because of oppression in the West. He writes of pipe bombs and cooker bombs in the streets as well. He also mentioned wanting to live in peace. Rahami, a U.S. citizen born in Afghanistan, remained hospitalized Tuesday with gunshot wounds to the leg, forearm and shoulder, authorities said. Federal agents have attempted to question Rahami in the hospital. But Rep. Tom MacArthur, R-N.J., who received a classified briefing from the FBI, said Rahami was not cooperating. The congressman said he doesn’t know whether Rahami has a lawyer. Investigators are looking into Rahami’s overseas travel, including a visit to Pakistan a few years ago, and want to know whether he received any money or training from extremist organizations. A law enforcement source confirmed to CBS News senior investigative producer Pat Milton that the name of Ahmad Rahami’s wife is Asia Bibi Rahami. She was born in 1991 in Kabul, Afghanistan. She has been in contact with authorities. Sources tell CBS News she is cooperating. Rahami’s father, Mohammad Rahami, spoke with the FBI after the younger Rahami was charged in 2014 with stabbing his brother, according to the officials, who were not authorized to discuss the investigation and spoke to The Associated Press on condition of anonymity. Rahami was not prosecuted in the stabbing; a grand jury declined to indict him. Rahami’s father told reporters Tuesday outside the family’s fried-chicken restaurant in Elizabeth, New Jersey, that he called the FBI at the time because Rahami “was doing real bad,” having stabbed the brother and hit his mother. The disclosure of the father’s contacts with the FBI raises questions about whether there was anything more law enforcement could have done at the time to determine whether Rahami had terrorist aspirations. In Rahami’s case, the law enforcement official said the FBI had opened up an “assessment,” the least intrusive form of an FBI inquiry. Justice Department guidelines restrict the types of actions agents may take; they cannot, for instance, record phone calls without obtaining a higher level of approval or developing more grounds for suspicion. It was not clear from the FBI’s statement how the contact between the elder Rahami and the FBI began. Nor was it clear exactly what he supposedly said about his son having terrorist inclinations. AP spokesman Paul Colford said the AP told law enforcement officials about Rahami’s work at the Cranbury facility. Summit’s vice president of security services, Daniel Sepulveda, said Rahami last did work for the company in 2011 and left the job because he wanted an extended leave that didn’t coincide with his work schedule. Sepulveda wouldn’t discuss where else Rahami had security assignments but said he was unaware of any complaints about his conduct. He said he had all licenses required by New Jersey law. William Sweeney, the FBI’s assistant director in New York, said on Monday that that at the time of the bombing, Rahami was apparently not on the FBI’s radar. Nor were Afghan intelligence officials aware of either Rahami or his family, said Mohammad Masoom Stanekzai, director-general of the Afghan National Directorate of Security. The bombing investigation began when a pipe bomb blew up Saturday morning in Seaside Park, New Jersey, before a charity race to benefit Marines. No one was injured. Then a shrapnel-packed pressure-cooker bomb exploded Saturday night in New York’s Chelsea section, wounding 29 people, none seriously. An unexploded pressure-cooker bomb was found blocks away.